A graduate of McMaster University with an Honours Degree in Art History and the University of Western Ontario School of Law, Megan was called to the bar in 2006. She is now a partner at Ferris & Celhoffer Professional Corporation. 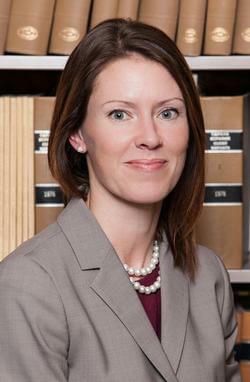 Megan is a qualified Collaborative Family Lawyer with an interest in Mediation and Alternative Dispute Resolution. She is an active member of The Collaborative Family Law Group of Grey-Bruce, as well as being a member of Collaborative Practice Simcoe County (CPSC). Megan’s other areas of practice include Family Law, Real Estate, Wills and Estates and she is the past President of the Grey County Law Association. In her spare time, Megan enjoys all the outdoor activities that the Georgian Bay area and Niagara Escarpment have to offer, often accompanied by her mischievous mini-schnauzer, Libby.